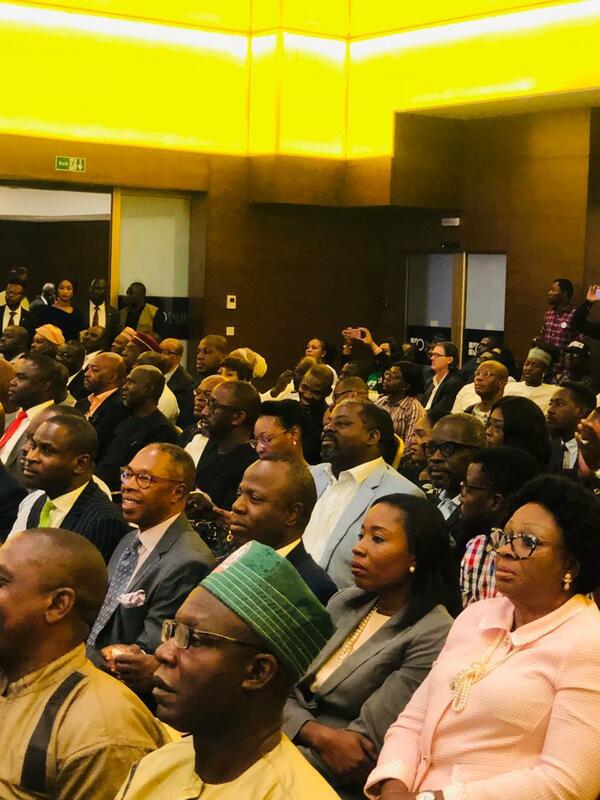 The Presidential and Vice Presidential candidate of the Peoples Democratic Party (PDP), Alhaji Atiku Abubakar and Mr. Peter Obi, met with the Business community on Wednesday at Eko Hotels and Suites in Lagos. The meeting, which had the theme, Getting Nigeria’s Economy Working: A Pragmatic Approach, saw corporate leaders applauding the economic plan of the Wazirin Adamawa. In his address, Atiku stated that he had created about 45,000 jobs as a private citizen. However, Opeyemi Agbaje, the moderator, wanted to know how involved he was in the creation of such plans. On the success and growth of the economy when he was in government, Atiku stated that the secret was that the government always met with the business community and always knew their needs as a result. According to him, this led to a 7% economic growth, as opposed to the current 1.8% economic growth rate. Responding to Onyeka Onwenu’s question on his plans for women, Atiku reiterated that he plans on giving 30% of appointment to women and 40% to youths, since they collectively contribute 70% to the population of the country. The former Anambra governor stated that the idea of allowing government handle infrastructure is behind the debt burden of the economy which in turn reduces money that could have been spent on education and health. On jobs, Obi stated that China used MSMEs to drive employment. He stated that small and medium-scale enterprises, contribute 60% of China’s economy and Nigeria should learn from them. Obi explained that he compares China to Nigeria because they were once as broke as Nigeria, with even more population.